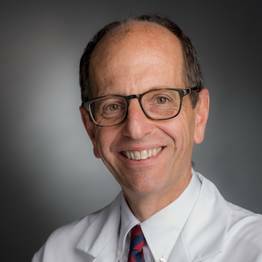 George Demetri, M.D., is a medical oncologist at the Dana-Farber Cancer Institute, where he also serves as the Director for the Center for Sarcoma and Bone Oncology, and an Associate Professor of Medicine at the Harvard Medical School. Dr. Demetri also chairs the Sarcoma Clinical Practice Guidelines Committee of the National Comprehensive Cancer Network and is the founder and editor of a wonderful web resource, Sarcoma.Net. He recently led the Phase II studies of Gleevec for GIST, as well as early studies of ET-743, the drug derived from sea squirts that has shown some success in treating some soft-tissue sarcomas. Dr. Demetri feels that his particular strength is new drug development based on rational scientific targets.